Three women and four children stand in front of a large water powered grist mill with a thatched roof. 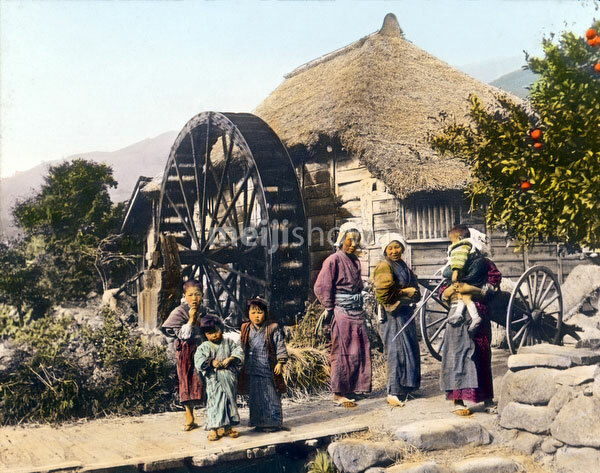 Water powered mills of all sizes used to be extremely common in Japan. See blog entry.